Amazing, just amazing!!! We knew he had a nice bum but this bum on display is just pure beauty. Looks like Beckham is trying to prove that the bum in those H&M ads is all his as I can't recall seeing him wearing anything so tight in the past. Can you imagine this bum in motion? 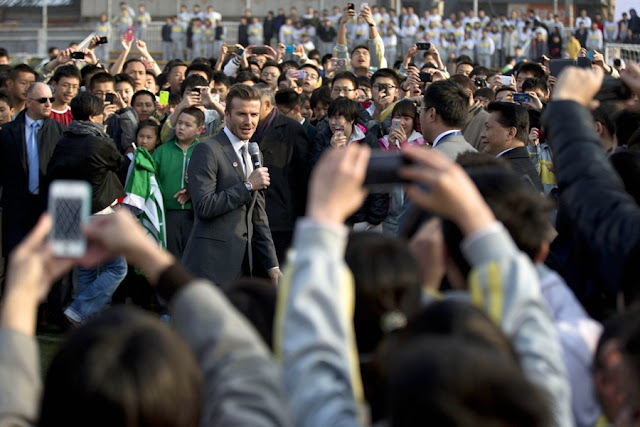 Check out more photos of Beckham playing soccer in his tight pants after the jump and yes David, I believe you did not use a bum double!!! 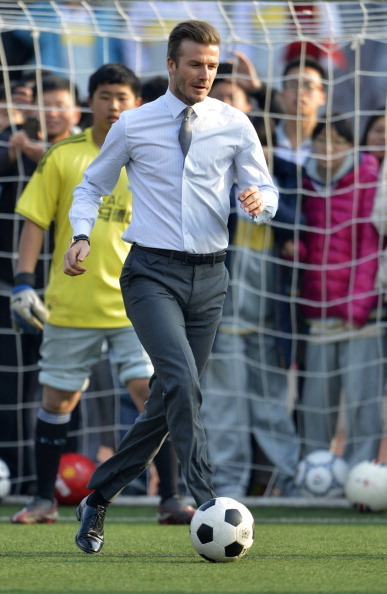 The 37-year-old soccer stud was photographed playing a game of soccer with the students at Beijing No 2 High School. Beckham is in China for a five-day tour in his role as global soccer ambassador. 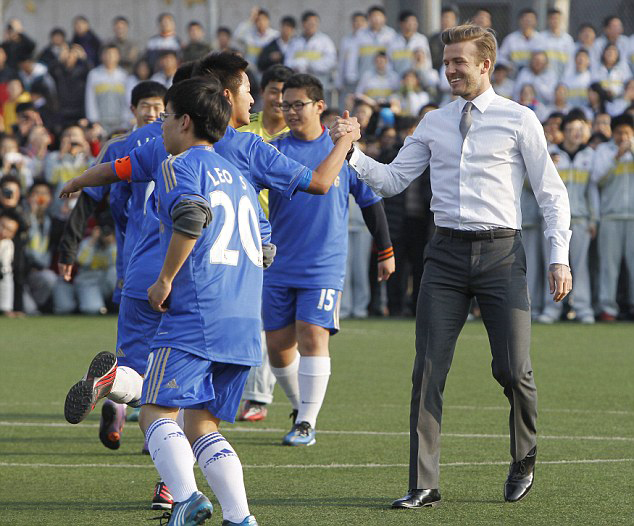 He was recently named China's first-ever ambassador for football in an effort to boost the sport's popularity in the country.